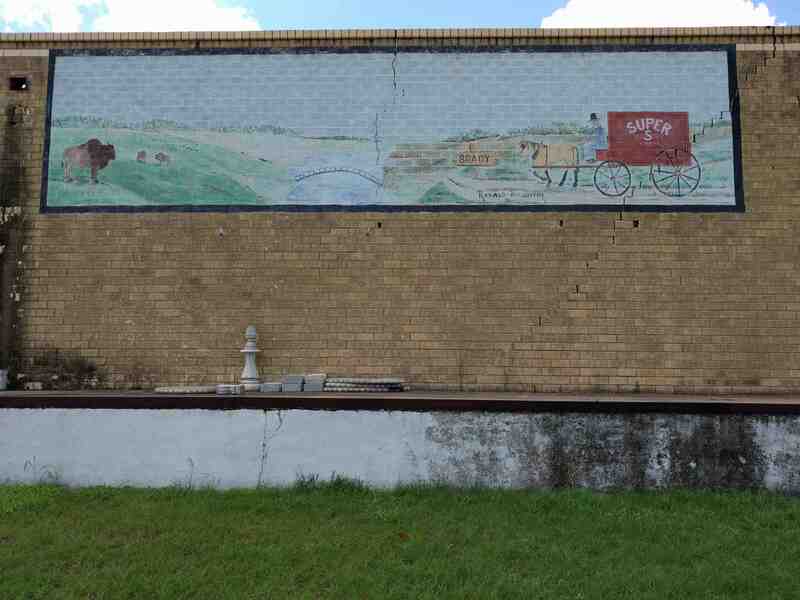 Mural depicts an earlier time in the town of Brady. Show me where it is! Even the mural seems aged.